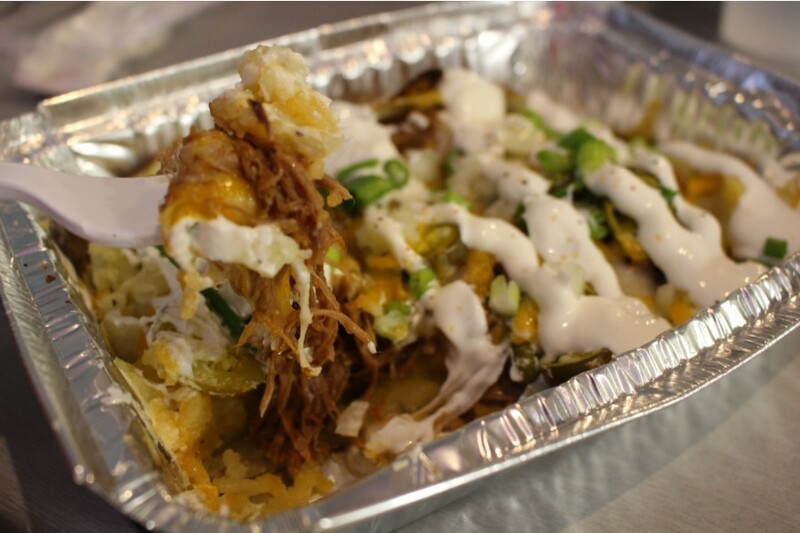 GIVEAWAY: Let Spuds and Just Another Utah County Mom treat you to your own loaded potato! 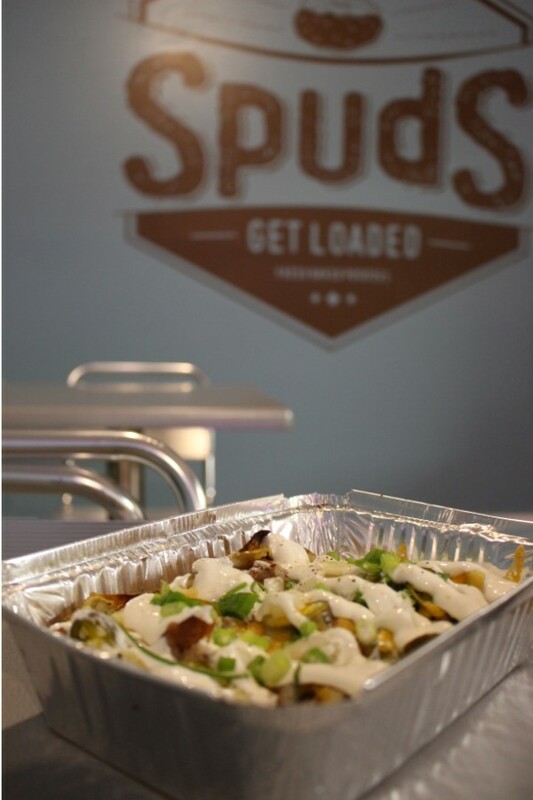 TWO lucky winners will receive a $10 gift card to spuds! Enter by commenting on my posts on Instagram or Facebook to win. Giveaway ends Dec 16. We tried out Spuds last night. It just opened in Provo and I just heard about it but I guess it's been around as a food truck for a while and before that it was at the farmer's market. Have you heard of it? The basic idea is that first you pick your potato (baked, mashed or fries). Then you pick what flavor you want and top it off with a few extra toppings. I picked a baked potato with sweet and spicy pork (a lot like the pork at café rio) and added butter, sour cream, chives, cheese, jalapenos and onions. I had never had pork on a potato before but I liked it! 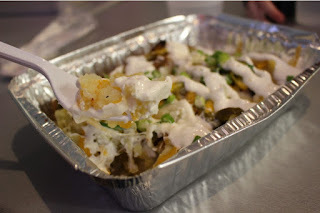 My husband ordered the mashed potatoes topped with buffalo chicken, cheese, sour cream, chives and banana peppers. What would you order on yours?